Middle Atlantic Products, a brand of Legrand | AV, has promoted Megan Knedler to director of marketing. 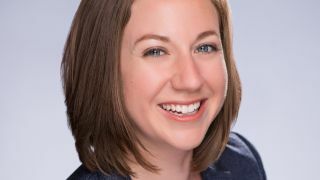 Knedler will be responsible for the Middle Atlantic brand marketing and for collaborating with her peers across Legrand | AV, which also includes the brands Chief, Vaddio, Da-Lite, Sanus, and Projecta. Prior to taking on her new role, Knedler served as director of product management—furniture for Middle Atlantic. "Megan is a key member of our organization,” said Mike Baker, GM/SVP of Middle Atlantic. “She has a deep understanding of how the individual solutions in the Legrand | AV portfolio can fit together to build comprehensive solutions. Now she's combining her deep industry knowledge to further our commitment to customers through enhanced marketing and customer experience efforts." As director of product management for Middle Atlantic's furniture division, Knedler helped create the ADA-compliant L7 Series Lectern and the T5 Series Conference Table, expanded the C5 Series Credenza offering, and the soon-to-be-launched slim-profile C3 Series Credenza. She has also taught CTS-accredited courses at InfoComm. Previously, as director of marketing communications, she lent her marketing and product sales expertise to improving the company's digital experience via implementation of a new web experience and configuration tool, as well as improving the company's go-to-market strategies. "Middle Atlantic has always been about what great systems are built on—continuing to innovate new possibilities to mount, support, and power today's technology in form factors and price points that integrators need," Knedler said. "I am eager to expand our brand story with the launch of Legrand | AV and to give our customers the information, services, and solutions they need to deliver amazing AV experiences."